Heel apart hoe leven en dood hier samengaan. 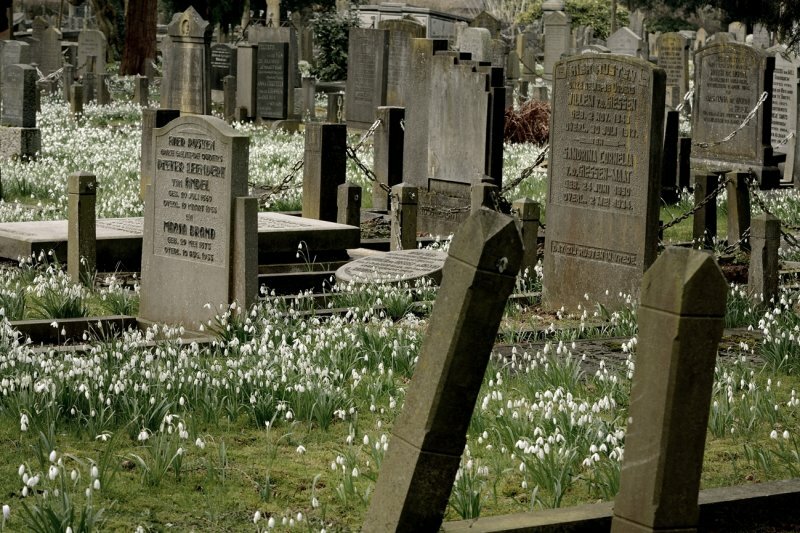 V.
What a great contrast between the blooming snowdrops and the old graves. So well composed too. Wonderful job with a diffciult subject. "V"
A great profusion of snowdrops. Lovely. Well composed capture of this cemetery, and especially nice with the flowers. V.
A very nice yet sobering image, Ton! Great with all the snowdrops.